We have English speaking experts ready to answer any question you might have. Call us or come visit us with confidence! 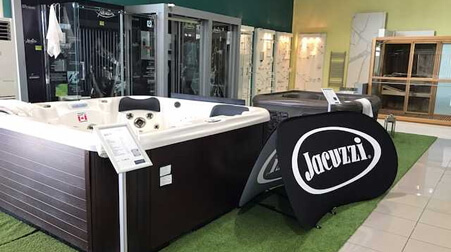 Our Alicante showroom has one of the biggest selection of hot tubs on display in this part of Spain. 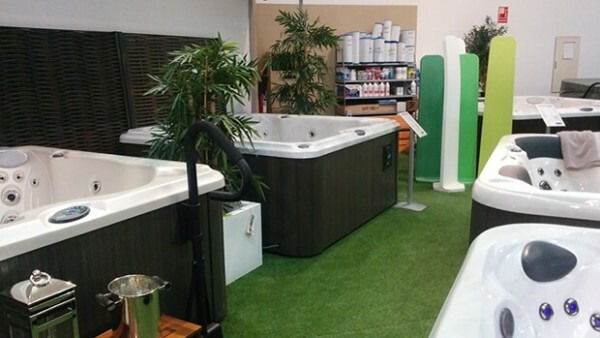 You will be able to see a large selection of products, from small indoor spas, big exterior hot tubs, saunas/hammams and up to pergolas. Get also supplies and accessories for your hot tub from us. 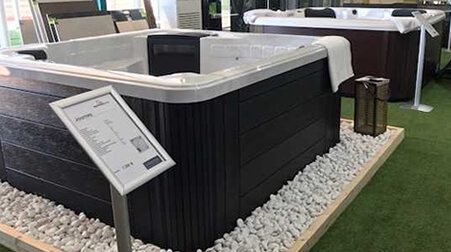 In our Marbella luxury showroom you can see Jacuzzi®, SunriseSpas and ProgibeSPA hot tubs, saunas/hammams, pergolas and a stunning vertical garden. We will be happy to advise you to find the perfect product for you and answer your questions about maintenance, installation, and financing options. Get also supplies and accessories for your hot tub from us. Come visit our beautiful exhibition and will be happy to assist and advise you in all that you require. Get also supplies and accessories for your hot tub from us.